In many ways, the history of surgeons on Twitter echoes the initial resistance and ultimate mass adoption of laparoscopic surgery that led to the field of minimally invasive surgery. At its inception, social media was similarly met with skepticism and concerns of threats to professionalism. 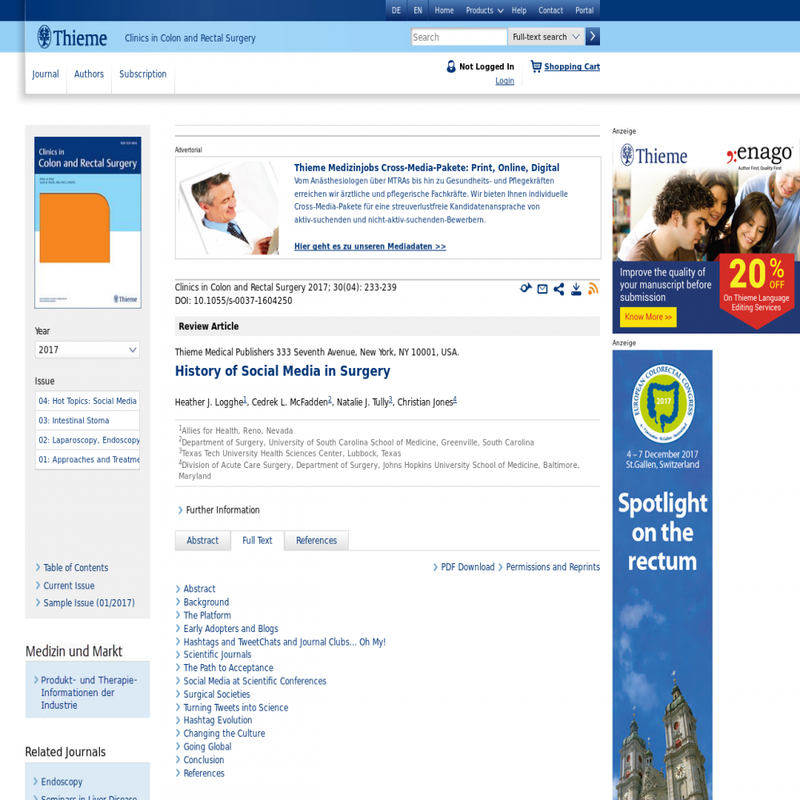 Despite these concerns, numerous surgeons and other physicians pioneered the use of social media to establish a virtual medical community and share scientific knowledge regarding a variety of topics including medical conferences, journal publications, and more. After these initial successes, surgeons' views have evolved, leading to mass adoption of social media and participation on Twitter as a means of professional networking and dissemination of science. This article chronicles that history.